When the chips are down, pick up your needle and cross stitch! 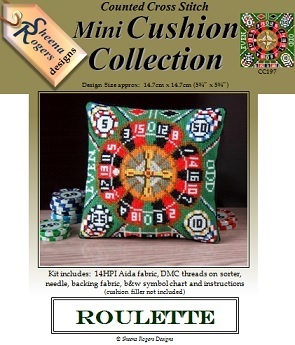 This Roulette wheel design features piles of chips with motifs from the gambling mat including the Odd or Even and Red or Black sections. Only whole cross stitch is required throughout, so no fractionals or backstitch needed. Place your bets please!